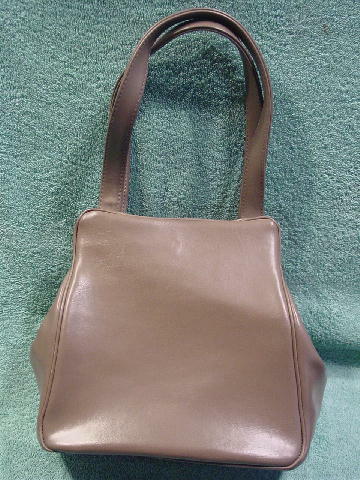 This vintage simulated leather handbag is by Life Stride. It has a dark brown grosgrain fabric lining with 86491 721Z70 in white numbers on the bottom, and there is an open interior pocket. 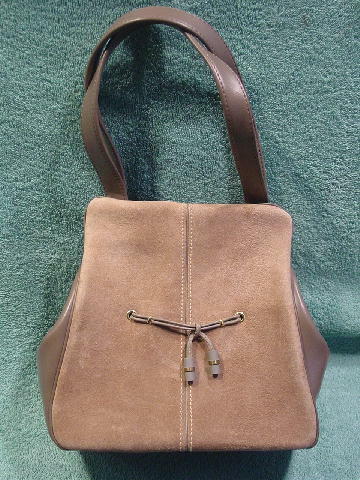 The front exterior has a dark sandy faux suede with gray faux leather ties and large beads. 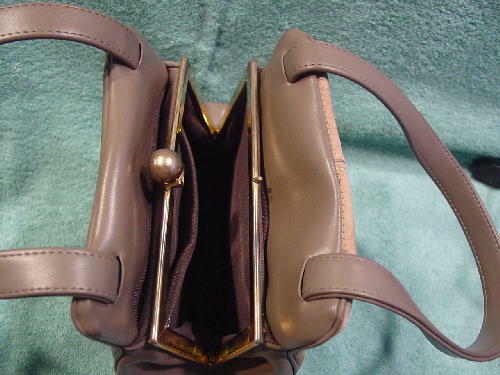 The rest of the exterior (handles too) is in a taupe-gray faux leather. The handles are 18" by 3/4". The opening is recessed in the center and has somewhat tarnished gold-tone rims and a round clasp ornament.